The community of Greenwood is known for its annual events (especially Seafair and the Greenwood Car Show) and its taprooms, local theatre, and unique shops. The small business industry is booming here, but it is also a popular residential area for families and individuals alike. Condos, townhouses, and single family homes for sale are all found in Greenwood, in a variety of price ranges. Neighbors include Green Lake, Crown Hill, Phinney Ridge, and Ballard. 3 Beds | 3 Baths | 2020 sq. Ft.
6 Beds | 3 Baths | 2600 sq. Ft.
3 Beds | 2.75 Baths | 1230 sq. Ft.
4 Beds | 2 Baths | 2160 sq. Ft.
3 Beds | 1.5 Baths | 1090 sq. Ft.
3 Beds | 2.5 Baths | 1310 sq. Ft.
2 Beds | 1.75 Baths | 1300 sq. Ft.
4 Beds | 2.75 Baths | 2030 sq. Ft.
| 1 Baths | 451 sq. Ft.
4 Beds | 2 Baths | 1220 sq. Ft.
2 Beds | 1.5 Baths | 990 sq. Ft.
Blue Summit Realty has the most accurate and up to date Greenwood real estate listings on the web. Currently there are 26 homes for sale, 9 condos for sale, in Greenwood. Of the 35 total Greenwood residential listings for sale 0 are bank owned, 0 are short sales, 0 are new construction, and 0 are townhomes. The price ranges from $269,950 to $0 with a median list price of $568,594 and median sold price of $607,879. Make sure to refine your Greenwood real estate search by property type, price, square footage, bedrooms, bathrooms and more with the search tool above or view the Greenwood listings on our interactive map. 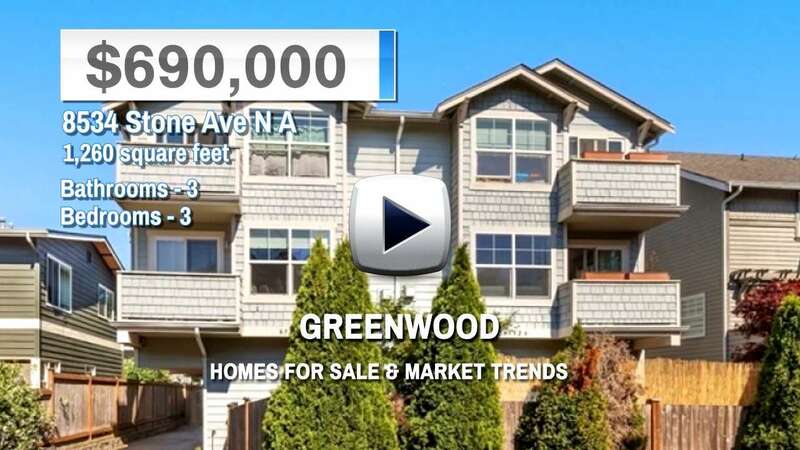 Our Greenwood real estate listings were updated 29 minutes ago.